Wine Partners is a France's first wine producer group bringing together family run vineyards of Medoc, Bordeaux, Saint Emilion, South West, Bourgogne, Alsace and Languedoc. They export wines to more than 35 countries internationally. 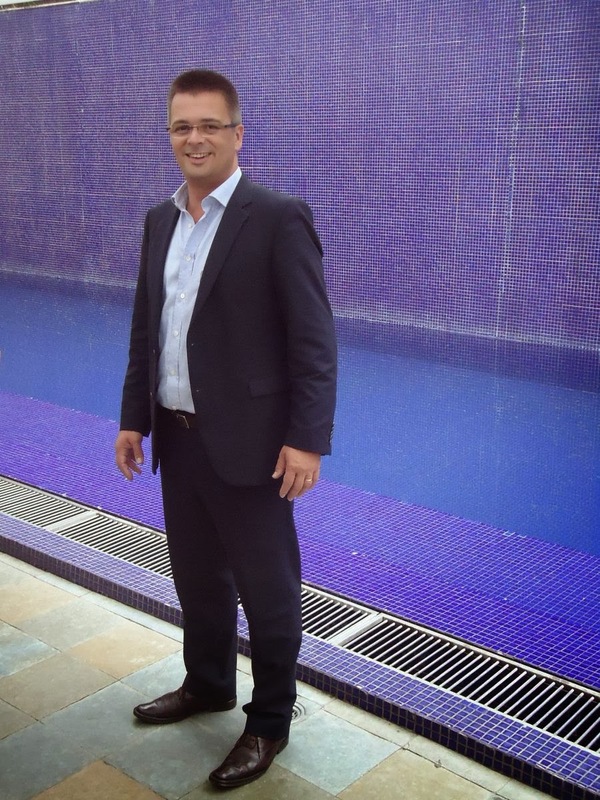 Pierre Courdourie was recently in Bangalore for a tasting session of Chateau de Fontenille wines. I managed to get a small e-mail based interview with him as I missed what must have been a great session. Wine is being intensely promoted all over the world as a lifestyle or indulgence perhaps. What is the kind of response you have seen to it, in countries that have newly been introduced to it. The new countries (markets) which we are approaching , it is mainly a social thing – a trend and it is getting more and more popular – this is also mainly due to international tourism which is gaining popularity – all local restaurants have started serving wine on their menu – more and more young customers are drinking wine, as opposed to hard liquor and moreover, red wine is beneficial too. When a new market is opening, they only know the high-end super iconic wines, which forms only about 2 to 3% of all wines. It is a social point, but our wines are everyday wines – The image of France is that it has only big brands, but that is not true – there is Rolls Royce and there are other cars, and there is something for everyone. It is not that everyone has to drink the iconic wines, we also have wines which can be appreciated by everyone This is changing with time. There are lesser known labels and wines and people are recognizing it and enjoying it. Family vineyards v/s commercially inclined vineyards… how different are the two? The comparison is like Coke and a small soft drink company – France doesn’t have big brands except in Champagne – Wineries in France and Italy are mainly run by families – it is only a question of size, one can have a boutique vineyards which make fewer cases of wine, where as a large one will make millions of cases – comparison is like a Ferrari and an auto – owning vineyards is a part of culture and our land – there are rules to produce wines – they are not extendable – rules are very strict and unique. Family business are better due to their identity . From your research on the Indian market – what is the kind of potential you see for wine in the country. How do you see it blending with our culture and cuisine. Indian Market will surely grow – In India, with domestic production of wine now, education has started – each wine is different in different parts of the world – it is unique to each place – When they start drinking wines in India, they start by drinking wines from other countries - but the older generation find it difficult to try new wines, but the new generation will surely experiment. Like I said earlier, wine is associated with special occasions. I still remember the wine I had when my daughter was born. I remember the name and the age of the wine. That is how special wine experience is to me and the same applies to a lot of people in France . Wine drinking is all about sharing, you have to drink it with others and it becomes a social event and every event in your life, you will remember with the wine you had.